Flagstaff Marine is proud to support the global charity Mercy Ships. At the 2017 Beneteau Cup we raised a massive $7,712 through a silent auction for this incredible organisation. We really appreciate the generosity of our owners’ community. 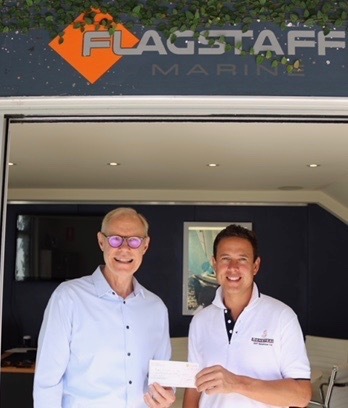 Flagstaff Director Micah Lane was delighted to be able to hand over a cheque to Mercy Ships Managing Director Alan Burrell. Two-thirds of the money raised will go towards Orthopaedic Surgery for children and adults, with the remainder put towards nursing and healthcare training in local communities. Mercy Ships operates the largest non-government hospital ships in the world, to deliver free, world-class health care services, capacity building and sustainable development aid to those without access in the developing world. Over five billion people on the face of the Earth lack access to safe surgical and medical care. In many developing countries in Africa, even basic medical care is a luxury. People are plagued by preventable diseases, untreated illnesses and neglected injuries. Even a simple toothache can become a life-threatening crisis. Nearly 50 percent of the people have no access to a hospital or doctor. Children, teens, adults and the elderly suffer and die every day from curable or treatable causes. A staggering 6.6 million children under the age of five died in 2012 from treatable diseases – more than 18,000 children per day. (Source: WHO). Mercy Ships has worked in more than 70 countries providing services valued at more than $1 billion, with more than 2.5 million direct beneficiaries. Mercy Ships serves all people without regard for race, gender or religion. Each year, more than 1,200 volunteers from over 40 nations serve with Mercy Ships. Professionals including surgeons, dentists, nurses, health care trainers, teachers, cooks, seamen, engineers and agriculturalists donate their time and skills to the effort. 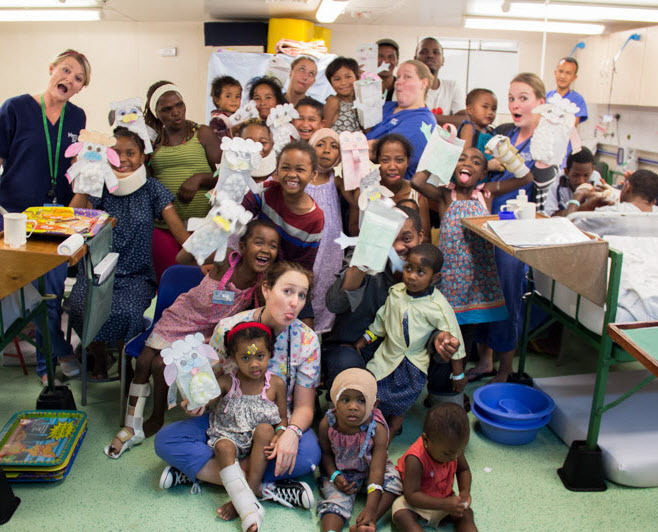 What makes Mercy Ships different? The ability to provide our services to millions who live in those areas of the globe that are difficult to access in normal circumstances allowing thousands to experience the same kind of medical care available to those of us who live in the west. Our staff work and are accommodated in a secure environment. In the unfortunate event of civil unrest, both staff and the self-contained hospital can be evacuated quickly to move onto the next assignment without loss of investment or capabilities. 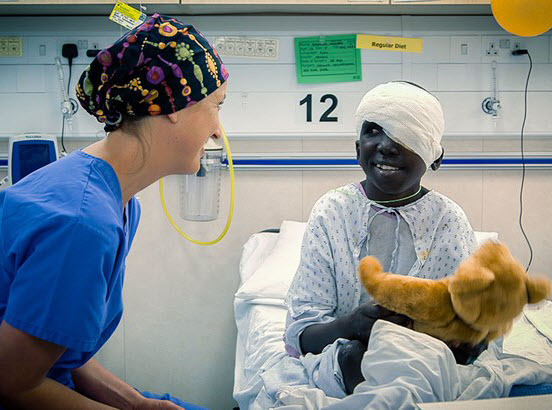 Mercy Ships bring hope, healing and renewed health to thousands.